KUT's O’Dark 30 features the very best from the world of independent radio that we can find here on PRX and elsewhere. Sunday nights at 10 on Austin's KUT 90.5 we present 3 hours of a bit of everything from the big wide world of independent radio production. The two tweaks to basketball that made it the sports juggernaut it is today. 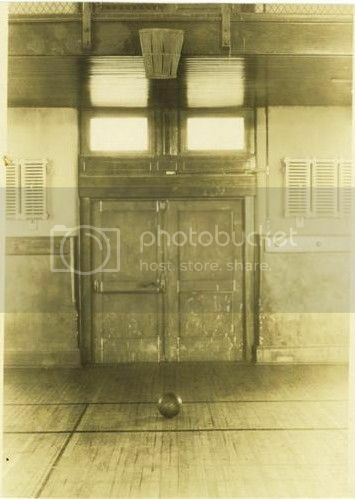 The invention of basketball is credited to James Naismith, a phys ed instructor who had the idea to mount peach baskets to a the walls of a Springfield, Massachusetts gymnasium, and have his students attempt to throw a leather ball through them. After points were earned, the game was put on hold until someone could retrieve the ball with a ladder. Eventually, the bottomless basket became the standard, and early 20th Century basketball became a speedier game than in the 1890s. But watch any game from as late as the 1950s and it still seems dreadfully slow compared with how the game looks today. 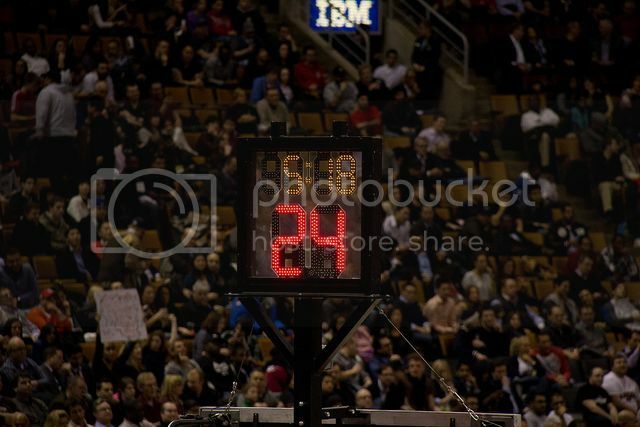 Here’s what’s missing from the basketball of yore: the shot clock. During pro basketball’s infancy in the 1950s, nothing forced a player to shoot the ball. If a team was winning, and they wanted to keep their lead, the team could literally hold on to the ball for ten minutes and run the clock out. The game may not have seemed slow to the players, but it wasn’t a particularly compelling spectator sport. 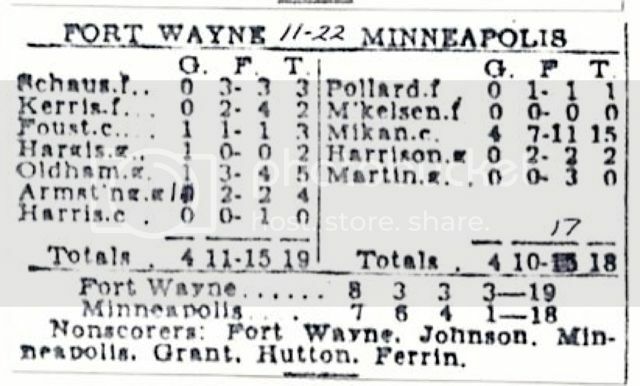 Especially when you had games like the November 22, 1950 bout between the Ft. Wayne Pistons and the Minneapolis Lakers, which had a final score of 19-18. Fast forward to 1954. Enter Danny Biasone, owner the Syracuse Nationals. Biasone had crunched some numbers, and he believed that some simple arithmetic could save basketball. By this point, an exciting game of pro ball would have teams scoring 80 or more points—a score that Biasone figured was high enough to retain the audience’s interest. Biasone started tracking how many shots a team needed to make to score the requisite 80-something points, and he found that each team needed to take an average of 60 shots per game. Therefore, Biasone reasoned, an exciting game of basketball needed a team to take shot every 24 seconds. To hold players to that standard, Biasone instituted a 24-second shot clock, and a new rule to go with it—if a team doesn’t take a shot by the time that clock runs out, it’s a violation and they lose possession of the ball. No more running the clock for minutes at a time. There’s any number of reasons a basketball fan can love the sport—the pace, the intensity, the sheer athleticism of the players—but it just might be that they all take root in that tiny, nearly invisible 24 second shot clock. Danny Biasone was posthumously inducted into the Basketball Hall of Fame in 2000. Basketball legend Dolph Schayes, who played under Biasone’s leadership on the Syracuse Nationals, offered a tribute at the ceremony. Reporter Eric Mennel spoke with Dolph Schayes—who played pro basketball both before and after the advent of the shot clock—about how Biasone’s contribution to the game shaped basketball into what it has become today. A different version of this story aired previously on BackStory with the American History Guys, where Eric is a staff producer. Will Ted, an 82-year-old man keep his license -- or will be be stuck in his suburban home with nothing to do and nowhere to go? The subject is also the producer's father -- adding a personal touch, and a bittersweet ending. This doc follows Ted, an 82-year-old man (and the producer's father) as he tries to renew his license. He's been driving for 66 years and the automobile is central to his lifestyle. He'll be isolated, and trapped in his suburban home without his car. Will he pass the driver's tests? He does, but shortly after has a stroke which takes him off the road for good. Ted's not alone -- pretty soon seniors will be 40% of the population. What will these millions do when they can't drive? Our cities aren't set up properly for them. Ted tells stories of the old-days -- his first car was a Model-T. I contextualize Ted's plight with the larger issue of Elderly mobility. Hear from Gil Penelosa, executive director of 8-80 Cities, a non-profit organization that promotes pedestrian friendly cities and mobility rights for the young, old and poor. Jazz trumpeter Clifford Brown is known for his precise and captivatingly smooth technique yet his life was tragically cut short in a car accident when he was only 25. Brown recorded most notably with drummer Max Roach and saxophonist Sonny Rollins, and his compositions Joy Spring and Daahoud are jazz standards to this day. His lasting impact on the jazz cannon is profound. In this short feature Rabbi Neil Blumofe discusses what Brown's legacy teaches us about the strength and importance of following ones own path in spite of contradictory expectations.